We always get an adrenaline rush witnessing a powerful dunk that floors the defense or a block just when the opponent is going to the basket. These moments are pleasing to the spectator but rarely do we realize the amount of hard work these players put in off the court. Speed, skills, and agility are very important in the game of basketball but it's the strength that gives the player the edge over the opponent. There are some who are naturally built and some who spend extra-time in the gym working on gaining that advantage over others. What we as fans want to see is a good combination of skills and strength. And what these players offer is exactly that. It's scary for an opponent to walk on the court to face one of these. 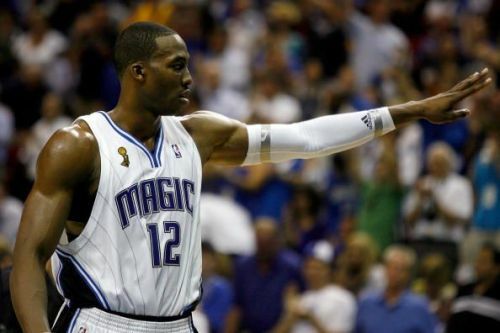 Dwight Howard as a member of the Orlando Magic in the 2009 NBA Finals. 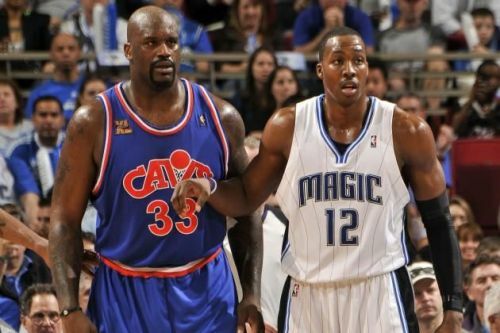 The Charlotte Hornets #12 Dwight Howard, plays center and his built of 6'11" and 265 lbs, is a force to reckon. He had a great career with his first team Orlando Magic for 8 seasons until 2012. Since then, he's had a back surgery and everything has been downhill. The Hornets are the fifth team in the past six years with previous stints being for the Los Angeles Lakers, Houston Rockets and the Atlanta Hawks. He has lost the touches of his younger days now but he still finds a way on this list because of his monstrous body physique. He won the 2008 Dunk Contest with some superman moves and was the starting center for Team USA at the Olympics 2008, where they won Gold.